This trip is an absolutely unique, Q´eswachaka Bridge is loacted acrooss the Apurimac River, at about 3,900 m.a.s.l (13,000 ft) in Canas province. This handwoven grass bridge spans 120ft, and rebuilt every one or two years as comunal effort by all the local people of the región. About 700 men and women from the communities Huinchiri, Ccollana come to Q´eswachaka to a Fiesta that celebrates the construction of the bridge. The final day of the party is the second Sunday in June where you can see typical dances and walk across the completed bridge. You can also visit the bridge site, in the days preceding, to see the bridge bulding in progress. The weaving and construction techniques have passed from generation to generation since the bridge was first built by the Incas. 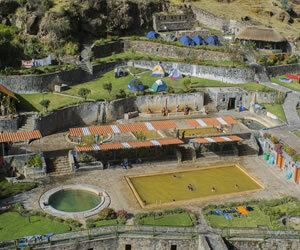 It is the only remaining example of an Inca hanging bridge that can be seen today. After your delicious breakfast, we will pick you up from your Hotel at 6:30am in our private vehicle and then we will go to the South-west of direction. 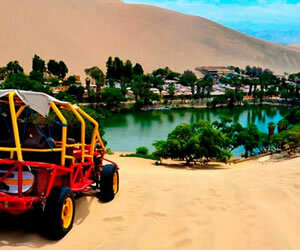 After almost two hours of travel we will visit the 4 lagoons: Pomacanchi lagoon, Acopia lagoon, Asnacocha lagoon and the Pampamarca or Tungasuca lagoon. After enjoing a quite momento near the lagoons, the next place we will visit will be the small volcano of pavilions that is located near to the Yanaoca town. There are options like renting a boat and go through the lake and/or fishing some trouts and silversides for preparing some food at the dock. 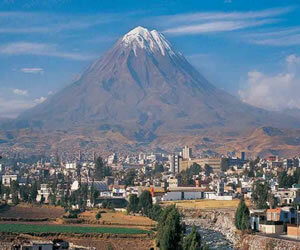 Finally, we will arrive at the Apurimac River and the impressive Inca Bridge. This hanging Inca Bridge is made of Vegetable fiber (Ichu) and is located on the Apurimac River in the district of Quehue. The existence of this bridge dates from the Inca times, the renovation and maintenance is done by the local people of the four communities that are around .Before beginning with the renewal of the bridge an offering is given a sign of respect and gratitude to the Pachama. We will have opportunity to cross the Inca Bridge twice, if you have courage to do so, becuase it may seem easy. But without a doubt you will feel great emotion crossing this bridge so much that you will feel like Indiana Jones. On the way back to Cusco, we will make a last visit, the Colonial Inca bridge of Checacupe where you will be able to see the differences between both bridges. 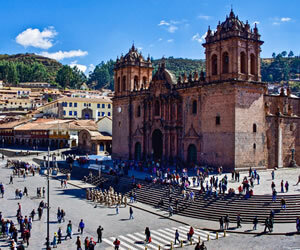 This interesting trip ends in the city of Cusco at approximatelty 5pm. 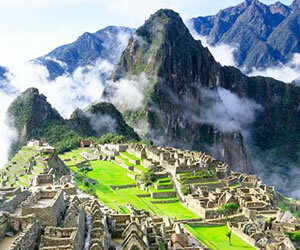 We will have the opportunity to cross the Inca Bridge twice, if you have the courage to do so, because it may seem easy. But without a doubt you will feel great emotion crossing this bridge so much that you will feel like Indiana Jones. On the way back to Cusco we will make a last visit, the colonial Inca bridge of Checacupe where you will be able to see the differences between both bridges.This interesting trip ends in the city of Cusco at approximately 5 pm. Extra drinks such as Mineral water, soda, beer, chocolates.